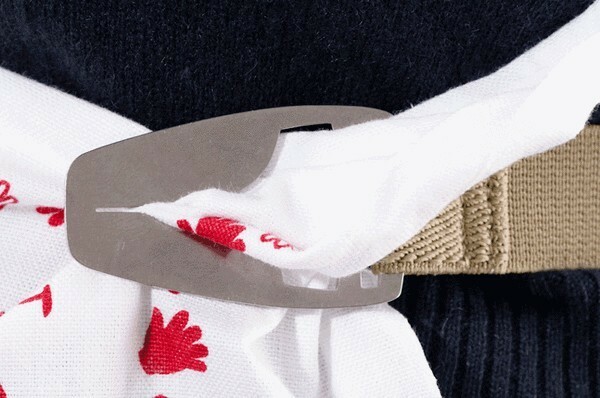 lodge the other corner in the loop and adjust it by pulling the right amount of cloth outside the loop : your tea towel has turned into an apron! 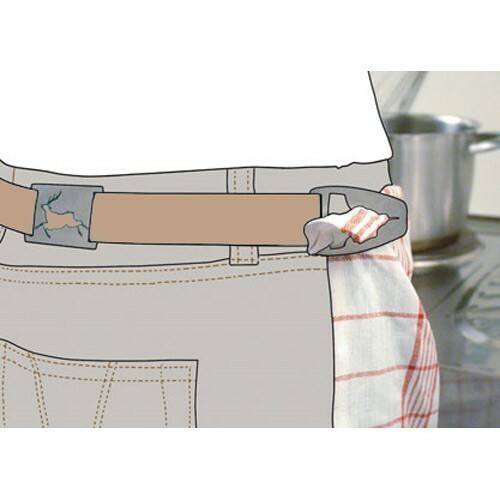 An elastic strap, two notches skilfully designed to lodge any type of tea towel, and a pretty metalic piece to embellish the whole item: this is the apron belt. The strap allows you to turn any tea towel into an apron. 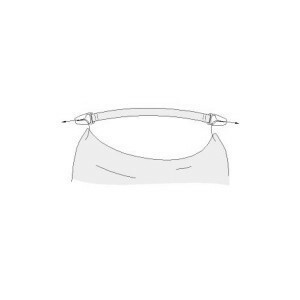 Depending on your waist size and the size of the tea towel, you will lodge it horizontally or vertically in the loops designed for all types of tea towels. 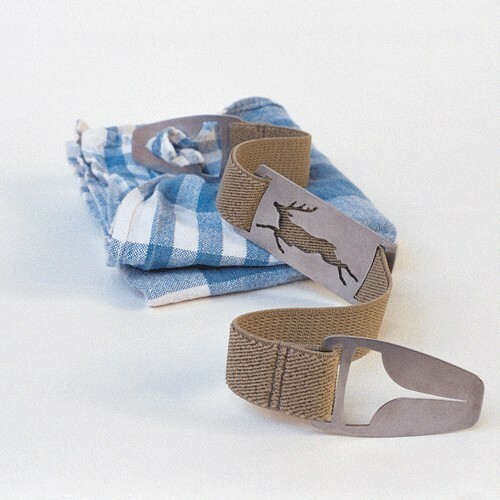 German quality - made in Germany, the tea towel clip is manufactured with excellent quality thick and soft elastic, the seams are very strong, and steel loops and decorative plates are indestructible: a product you can always count on, for one or several lives!